It seems that my boys are always hungry and asking for a snack. They are active boys so they do need snacks. As a mom, I want to provide them with healthy snacks. I make sure my fridge and pantry are stocked with healthy snacks that are easy for my boys to grab. 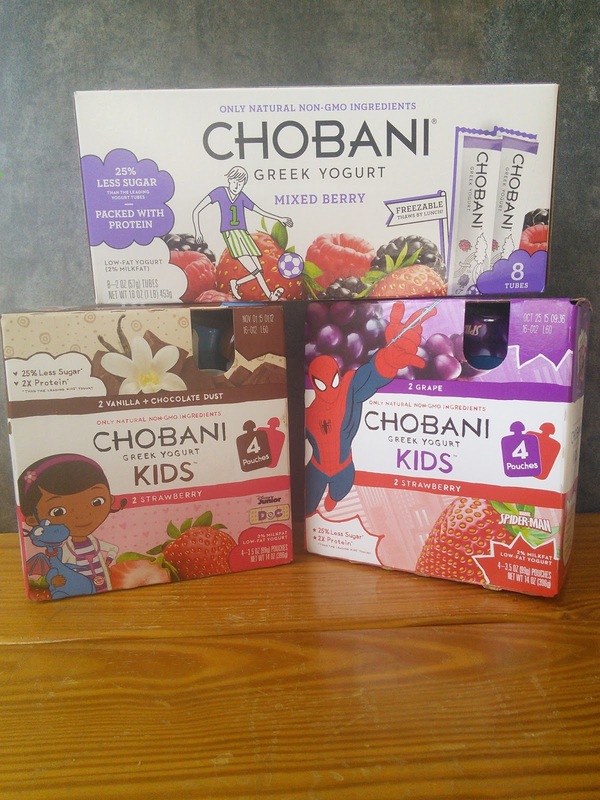 Choboni Kids yogurt is a healthy snack that kids and moms love. This delicious kids yogurt is also great to take on the go. 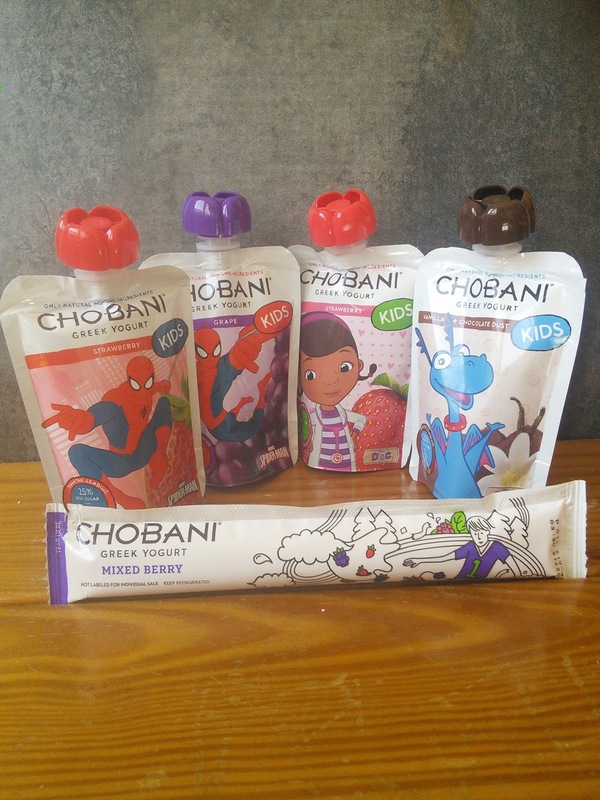 Choboni Kids yogurt comes in many yummy flavors that appeal to kids and moms love to eat too. 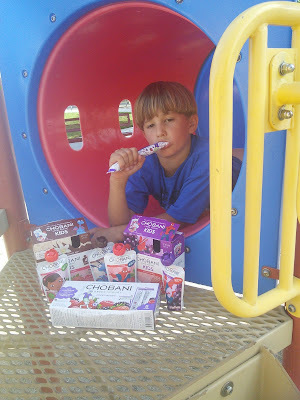 My boys love the Vanilla and Chocolate Dust flavor while I love the Grape yogurt. I am always sneaking a yogurt pouch from my kids stash. My boys just love that Spiderman is on their yogurt pouch. These pouches are just so bright and colorful too. These kid's yogurt come in pouches and tubes and are perfectly portable for on-the-go snacking and freezeable for lunchboxes, too. I love that the pouches have resealable caps so if my boys can't finish their yogurt they can save them for later. Choboni Kids yogurt is also made with natural ingredients and are loaded with healthy nutrition like protein and calcium. Moms will love that Choboni Kids yogurt has 25% less sugar when compared to other leading kid yogurt. They are great to pack into a lunchbox. You can find Choboni Kids yogurt at most grocery stores. I have seen these tubes and pouches at stores like Target, Walmart, and Smiths. Check out Choboni's product locator to find them in stores near you. Visit Choboni and tell me what flavor you would like to try. I agree - we buy Chobani all the time! It is our favorite brand of yogurt. The Grape and Strawberry flavor interests me a lot! You NEVER see a grape yogurt! This sounds great!! I haven't seen the kids version in our store, yet, but I'll keep my eyes open! I'm sure my kids would love this! Your son looks had fun with his yogurt. My kids love to snack on yogurt. I have seen Choboni several times but never bought it. I am going to have to see how my kids like this brand! This looks delish!! 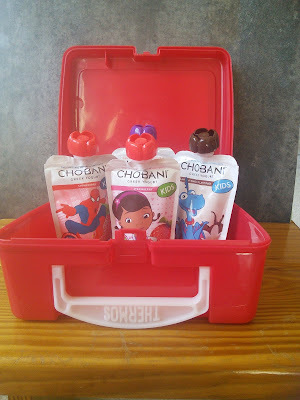 I love chobani and my younger cousins love the kids version! I love how nutritious it is, tastes great too I've got to say. Chobani is new to me, but it sounds good.My kids love yogurt for breakfast and snacks. I will get this for them. I love the versatility of yogurt. The probiotics it offers are perfect for the upcoming cold season. Yogurt is definitely perfect for kids who are active. It helps their metabolism too. These snacks look yummy! Glad you found a healthy snack for your kids. I've tried this product line.. Bought them from local Albertans and my kids love it! I didn't know they made this in kid-friendly packaging. That's such fantastic news! I love this yogurt and it is perfect for the kids. I will most definitely share this with my daughter who might be interested in these for her daughter. I love Chobani Yougurt!! The flips are my favorite! Love the characters on them, my kiddos would love it! 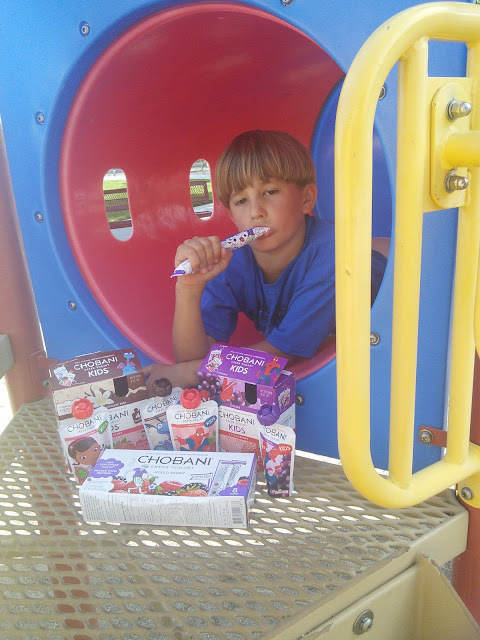 My kids love Chobani yogurt, too. They like strawberry. I love how this is a healthy snack option! I didn't know they come in pouches. I would love to get some for my daughter! I'm quite sure this is the type my daughter gives her little girls (my granddaughters, who are 1 and 3). I know they like it! I have not tried the kid's yogurt by Chobani. My daughter loves yogurt, so will be trying this brand next time. Thanks for sharing!